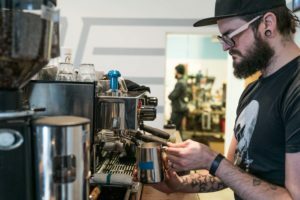 The cafe is the new landmark destination for people in Portland who love bicycles. Centrally located near the east head of the Broadway bridge, it is easily accessible and equally on the way to downtown and the incredible cycling in and around Portland’s west hills. With coffee from one of the city’s best roasters, Water Avenue, pastries from nearby Fleur de Lis Bakery, Bowery New York-style bagels and a menu created by veteran chef John Pettitt, we can fuel your day at the office or hours in the saddle. John’s “make it in-house and make it fresh” mentality are in line with the ethos of Breadwinner Cycles. An example of our rotating menu is attached below. 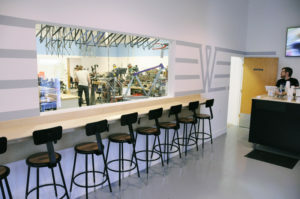 Visitors are treated to a view of the shop floor through an 8-foot wide window, and a rotating display of new bicycles and art in the cafe. We look forward to the Breadwinner Cafe being a central hub of the cycling community in Portland. 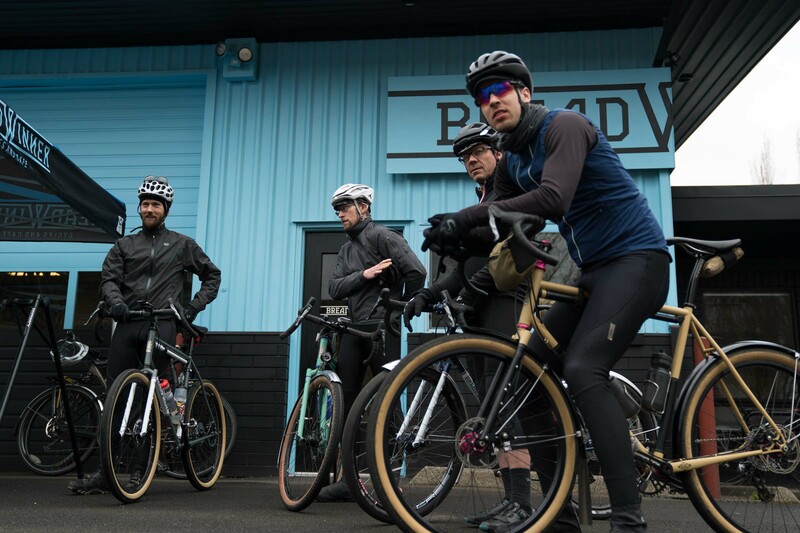 Since opening in December, we’ve hosted a number of team and group rides, screened numerous cycling events, done shop demonstrations, and hosted customers for fit sessions and interviews. We look forward to continuing to bring people together and share the love of custom steel bicycles AND coffee.